The majority of rolling bearings are grease lubricated. Compared to oil, the advantage is that grease is more easily retained in the bearing arrangement, particularly where shafts are inclined or vertical. Grease can also contribute to sealing the arrangement against solid and liquid contaminants as well as moisture. The terms used to categorize speed ranges, temperatures and loads for grease lubrication can differ from those used for bearings. 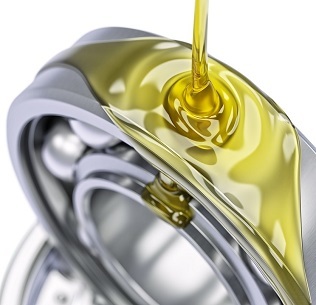 Some engineers see lubricants as a straightforward, messy ancillary of the industrial age. However, much like rolling-element bearings themselves, lubrication is an ancient technology that’s highly engineered in modern forms. In fact, engineers have used fluids to reduce friction thousands of years, but the advent of the oil industry in the late 19th century spurred modern bearing lubrication.